1. 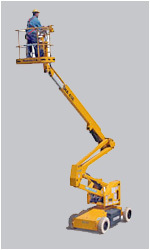 The use of a Telescoping or “Knuckle Boom” High Lift is ideal for spraying roof tiles without having to walk over the roof tile surface. The boom is especially handy for more complex roofs and is available at equipment rentals. 2. 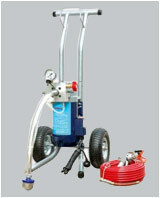 An airless sprayer applies the Roof Tile Coating quickly and thoroughly.